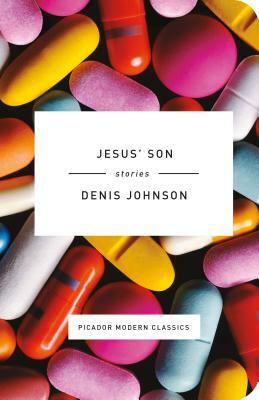 Denis Johnson's now classic story collection chronicles a wild netherworld of addicts and lost souls, a violent and disordered landscape that encompasses every extreme of American culture. These are stories of transcendence and spiraling grief, of hallucinations and glories, of getting lost and found and lost again. The insights and careening energy in Jesus' Son have earned the book a place of its own among the classics of twentieth-century American literature. For more than twenty years, Picador has been producing beautifully packaged literary fiction and nonfiction books from Manhattan's Flatiron Building. Our Twentieth Anniversary Modern Classics line pairs iconic books - The Virgin Suicides by Jeffrey Eugenides, Steppenwolf by Herman Hesse, Jesus' Son by Denis Johnson, and Housekeeping by Marilynne Robinson - with a design that's both small enough to fit in your pocket and unique enough to stand out on your bookshelf.